Some fashion trendsetters come and go but Iconic Girls like Vic Styles last forever. 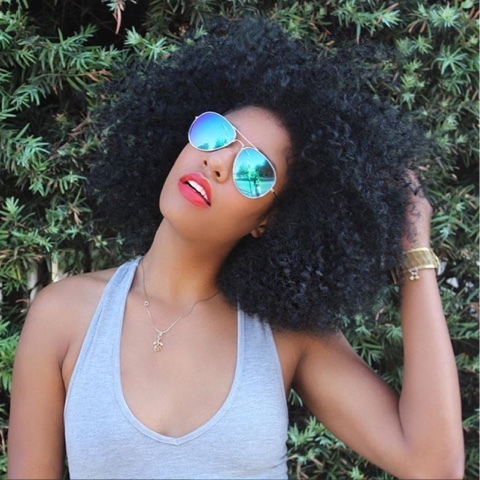 Channeling a little electric, bold and oh-so-bohemian vibe, indeed this LA based beauty is becoming one of the most buzz-worthy names in the beauty and fashion biz. Vic's unique approach to beautiful fashion and culture only feeds our love for her even more. 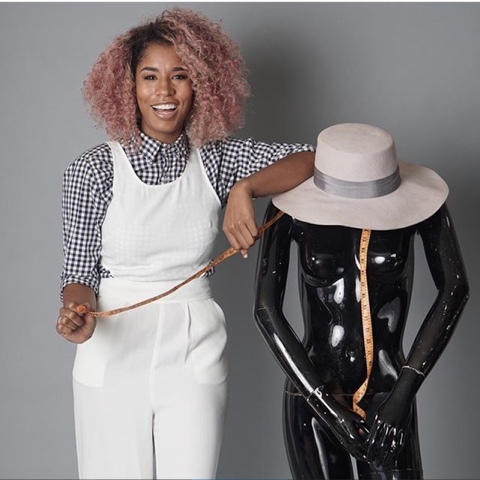 Take a look and be prepared to absorb the grace and shining light of Vic Styles and learn how she keeps herself focused, determined and motivated to becoming a household name. 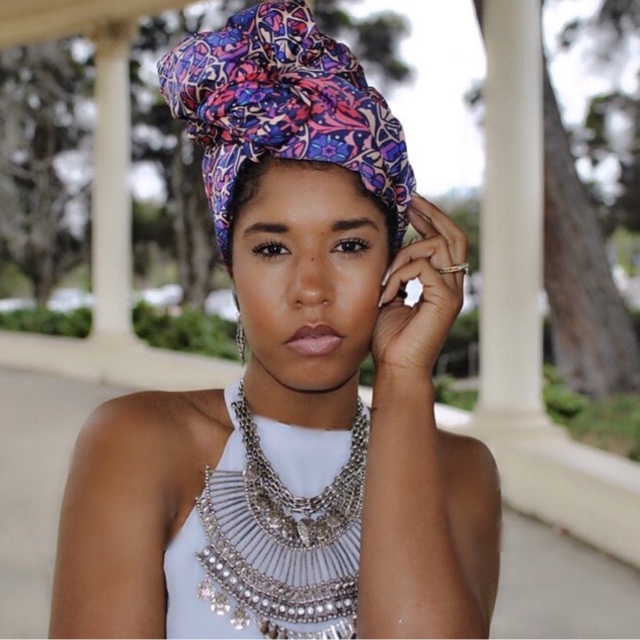 Current Title/Company: wardrobe stylist, style blogger, author, fashion editor at CRWN Magazine, Activist. 1. How did you come up with the concept for The Vic Styles? As far as my brand goes, this is nothing I could have ever dreamed of. I have loved fashion my entire life, but before that... I am a writer. I've been writing since I was 6. 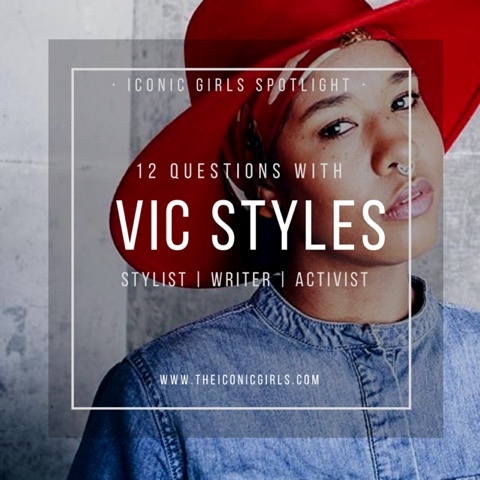 Once I started styling, I was introduced to blogging and I realized I could merge fashion and writing....and Vic Styles was born. My brand is the truest reflection of myself. It is writing. It's styling, it's my personal style, it's beauty, it's holistic healing, it's eclectic and real. 2. What gives you ambition? Love. Love fuels all of my ambitions. My love for myself, for my passions, for my people... These things make me work hard. These things keep me from quitting. 3. Take us through a typical day in the life of Vic Styles. I wake up at 4am every morning. I know it's crazy. From 4-6am I meditate, stretch, pray, write. At 6 I start sending and replying emails, checking my social media and responding to DMs and questions. I eat breakfast..and then start my day. I may be on the set of a music video, I may spend the day taking photos and blogging, or perhaps I'm out shopping for a client. When I get home, I cook dinner, read, and reflect on my day. 4. What advice would you give to your 18 year old self? Do what makes you happy. Drop out of college and start your career. Trust your gut. Don't be so quick to fall in love. Your time is the most valuable thing you own. Being a woman is powerful. Your parents don't have it all figured out. Being different is a blessing, not a curse. You are undeniably beautiful, do not ever forget it. I want to forever be a muse and an inspiration. For everyone, but mostly for young women. The greatest compliment someone could give me is "You inspire me". That is my purpose and that will be my legacy. 7. One day I hope to: Be a mother. Own a home with enough land to grow my own food. 8. Essential business tip: Don't give up. It will get hard, but do not give up. I think that depends on where you're going, how old you are, your own personal style. But comfort and confidence are key. 10. If you could have brunch with any woman, who would it be and why? Erykah Badu. I feel like she has the answers Sway. 11. Favorite way to unwind at the end of the day? Smoke a blunt and listen to Alanis Morisette. 12. Recommended business tool every Iconic Girl should have? A smartphone. It's your own personal, portable office.